A 27-year-old man accused of carrying out a machete attack in Selkirk town centre is facing 14 charges. Harrison Long made a second private appearance at the town’s sheriff court and was remanded in custody again. He is charged with assaulting a 41-year-old man to his severe injury and permanent disfigurement with a machete in Selkirk Market Place on the morning of Sunday, February 3. Long also faces charges of attempting to strike a woman to the body with a machete and possession of offensive weapons in the form of a machete and a metal pole. 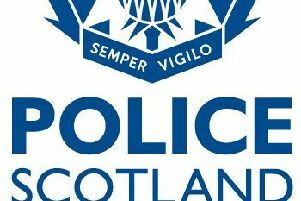 He is also charged with threatening or abusive behaviour towards officers at Hawick police station and vandalism of a cell there including defecating and smearing faeces on the walls. Long is also accused of assaulting the same woman and cruelty to a dog by pinning it down and repeatedly stamping on its head at a house in West Port in Selkirk the previous day. He made no plea to the 14 charges during this week’s hearing. Long, giving an address in Bemersyde Crescent in Selkirk, was fully committed for trial and was remanded in custody by sheriff David Clapham.